Dylan had already moved on to other songs when his first masterpiece was released. Contrary to his first album, this album mostly has songs penned by the man himself. With songs like Blowin’ in the Wind, Girl From The North Country, Masters Of War and Don’t Think Twice, It’s All Right that are still a big part of Dylan’s concerts half a century later, Freewheelin’ is an album whose music will live long after anyone who is reading this post is gone. The Freewheelin’ Bob Dylan is the second studio album by American singer-songwriter Bob Dylan, released on May 27, 1963 by Columbia Records. Whereas his debut album Bob Dylan had contained only two original songs, Freewheelin’ represented the beginning of Dylan’s writing contemporary words to traditional melodies. Eleven of the thirteen songs on the album are Dylan’s original compositions. The album opens with “Blowin’ in the Wind”, which became an anthem of the 1960s, and an international hit for folk trio Peter, Paul & Mary soon after the release of Freewheelin’. The album featured several other songs which came to be regarded as amongst Dylan’s best compositions and classics of the 1960s folk scene: “Girl from the North Country”, “Masters of War”, “A Hard Rain’s a-Gonna Fall” and “Don’t Think Twice, It’s All Right”. 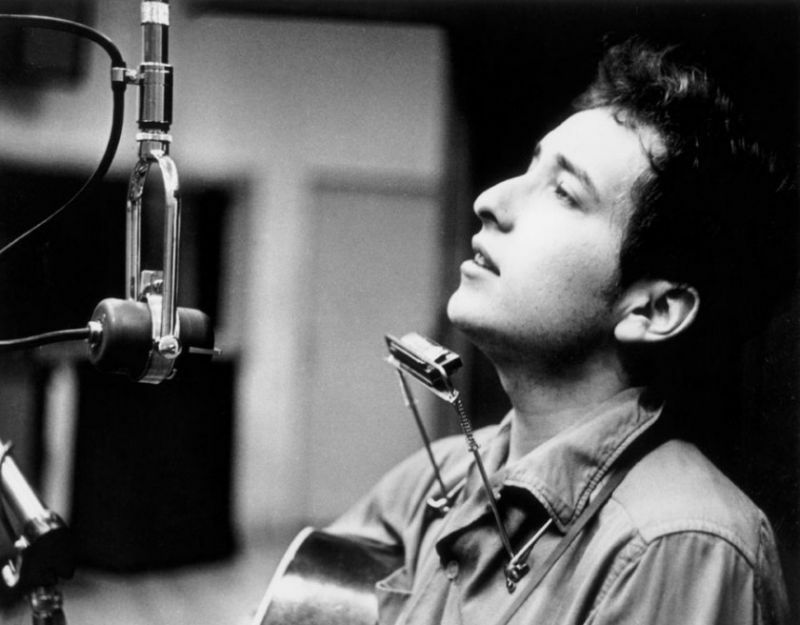 Dylan’s lyrics embraced stories taken from the headlines about civil rights and he articulated anxieties about the fear of nuclear warfare. Balancing this political material were love songs, sometimes bitter and accusatory, and material that features surreal humor. Freewheelin’ showcased Dylan’s songwriting talent for the first time, propelling him to national and international fame. The success of the album and Dylan’s subsequent recognition led to his being named as “Spokesman of a Generation,” a label Dylan repudiated. The Freewheelin’ Bob Dylan reached number 22 in the United States (eventually going platinum), and became a number-one hit in the United Kingdom in 1964. In 2003, the album was ranked number 97 on Rolling Stone magazine’s list of the 500 greatest albums of all time. In 2002, Freewheelin’ was one of the first 50 recordings chosen by the Library of Congress to be added to the National Recording Registry. Even if you were among the handful of people who bought Bob Dylan’s 1962 self-titled debut, you couldn’t have predicted The Freewheelin’ Bob Dylan, the 1963 folkie touchstone where Dylan transformed American songwriting and blew the minds of everyone from his coffeehouse compatriots to the Beatles. 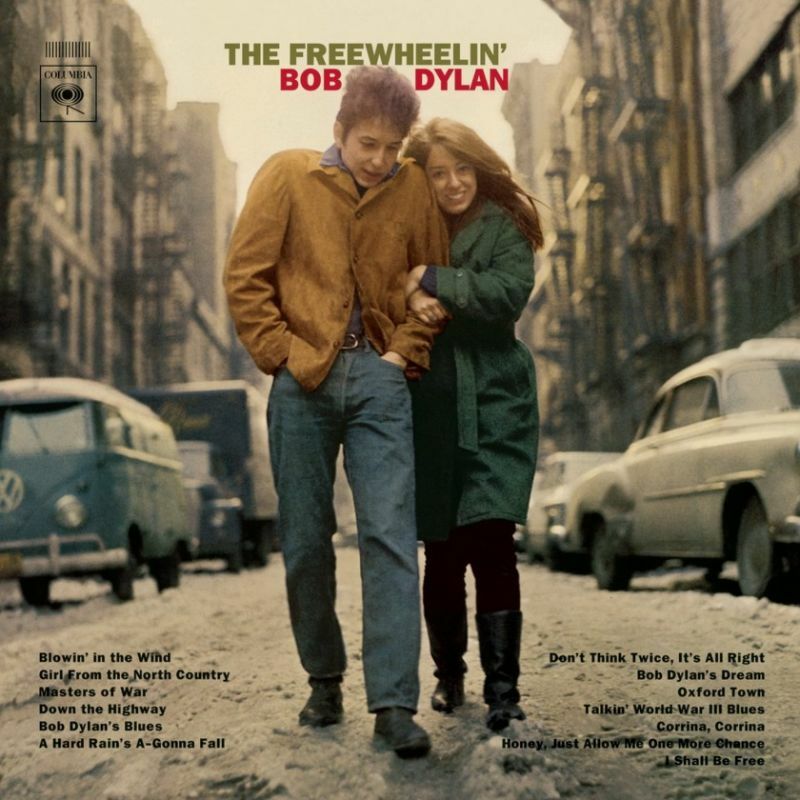 I was a naive 16-tear-old when Freewheelin’ came out, and I can still remember laughing when a friend showed me the album cover in a record store and made some derisive comment about “Bob DYE-lin.” To a kid from the suburbs of Minneapolis, the photo was from another universe — and I later learned the album was, too. It took awhile, but in hindsight it appears that the scruffy guy in the photo won me over. 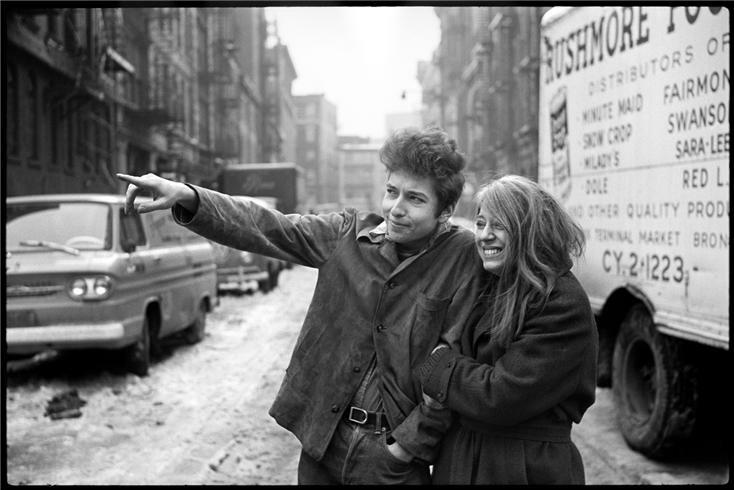 Freewheelin’ Bob was a brand new recording when I heard it in ’63 when I was 12 … it just completely altered the course of my life. I still listen to it with complete amazement.